COUNCIL are happy to report that they have had NO reported cases of Cryptosporidium at the Unley Swimming Centre. They are proactive in their approach to ensuring the pools stay clean all season, so that you can come down and enjoy a swim whenever you like. · Children who are not toilet trained should wear tight fitting waterproof pants or swimming nappies in swimming pools, and be changed regularly in the onsite change room. · Swimmers should shower before using a pool, and wash their hands after using the toilet or changing nappies. 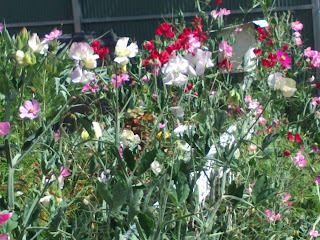 FLOWERS 152 – 152 King William Road have been selected as the favoured applicants for the next parklet sites. If you want to have your say on these locations just click the link below. Public notification has commenced with posters on the street, in the shop fronts and info on the web . Also on the web is information on providing feedback with a representation form for comments/issues/concerns to be formally submitted. In accord with the Parklet Program, the period for feedback closes 5 PM on the 8th January 2016. The parklets in Opey Ave and Boffa St will be removed and application made by the stores (Cotto and Nutrition Republic) for permanent curb build outs if they wish to retain the amenity. Black Forest LATM outcomes: You may remember that further consultation was delayed as DPTI was deciding what might happen to South Rd in this location? Despite spending millions elsewhere on South Rd it seems that the section adjacent Black Forest is not a priority. This may well be a good thing!! Nevertheless, we will put in a budget bid for the work to be done on Byron Rd after consultation and if residents can agree on a solution to the existing traffic issues. Canterbury Tce & East Ave: there are still significant concerns expressed by residents about the safety of this intersection for cyclists. Some further design has been completed on this, this will also need to be considered in the budget deliberations. Better wayfinding signs have been installed on East Ave, near the railway crossing. 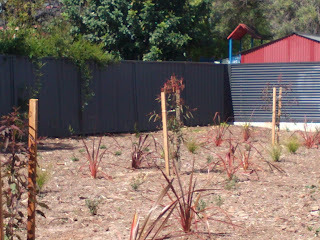 Dead plants in Aroha Tce, Arundel Ave that should have been replaced before the contractor handed these strips back to Council was not done and Council will now pick up the tab to do this in 2016. Council will clear the drain at the northern end of Wilson Ave and, hopefully, find a better long term solution to potential flooding issues. As well the footpath will be repaired where it has been damaged by trees and some pruning of those trees will be undertaken early 2016. No more of this for Goodwood Central! SEM, on behalf of SA Power Networks, will start on preliminary work on 11 January 2016 just south of the tram line. The work will be done between 7pm to 6am 5 days a week, with Saturdays as required to cause the least disruption to traffic. SAPN engaged SEM for the civil works, i.e. trenching and conduits laying. A separate contractor will subsequently pull through cables and eventually remove the stobie poles. Undergrounding power lines is scheduled to be completed by August/September 2016. 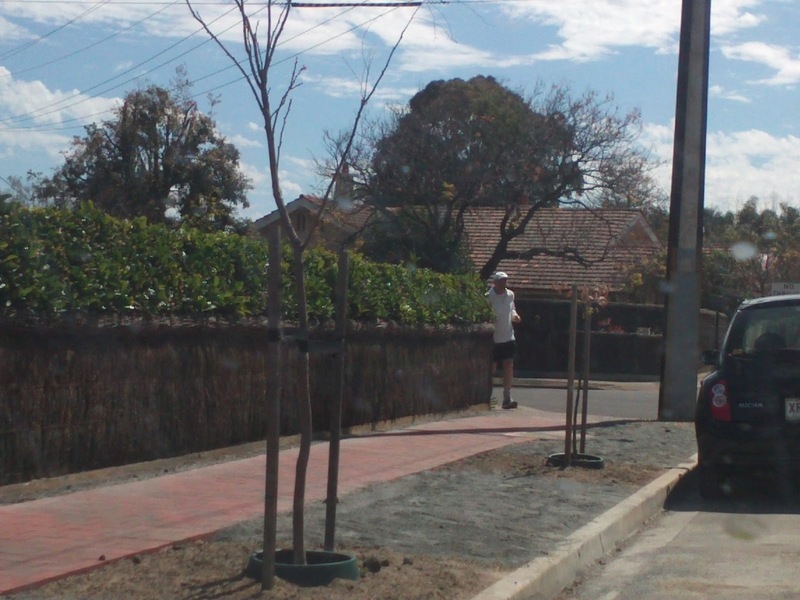 Council is making good progress in the design for the streetscape upgrade that will follow the completion of the works. I found the recent newspaper attention to the local government elections in Saudi Arabia interesting. This is the first election that women have been allowed to run in and over 900 women nominated. They won just 20 of over 2,000 seats, just 1%. It is a giant leap for this country and for women's representation. 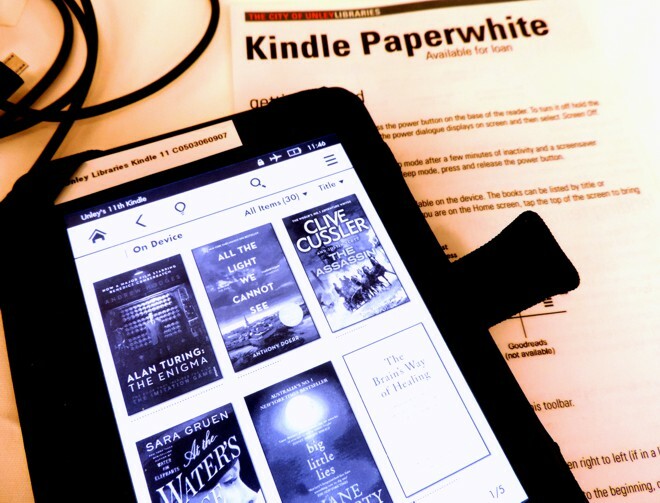 Unley Libraries offers a total of thirteen Kindle eReaders for loan. Kindles 1 - 5 have 25 bestseller adult titles installed on them, Kindles 6 - 8 have 25 Young Adult titles installed, and Kindles 9 - 13 have yet another 27 bestselling adult titles available to read. For further information please contact the Libraries or reserve your Kindle on our online catalogue. What about starting your own book club? Have you ever thought of starting your own book club? The Unley Library have over 100 book club sets (multiple copies of popular titles) which book clubs can borrow to take the trouble out of tracking down copies of the same book to read. A new exhibition comes to our Unley Inner Art Gallery. Participants in programs out of Parkinson’s SA share their artwork with us as they have done at the Hughes Gallery for some years. We are trialling some new areas as well. So, visit the ground floor by Records, view from a planner’s perspective on the Ground Floor, meet the artwork in and around your meeting on the First Floor, take a walk along the corridor by Customer Service and end up in the Council Chambers for a plethora of art in different styles and content. A little something for Christmas perhaps? The artworks on display in the Inner Art Gallery showcase the work of members of the Parkinson’s SA Brushlines Art Group and Photography Group. All members have a diagnosis of Parkinson’s and find pleasure in the pursuit of their art. I have now received my letter from ARTC. 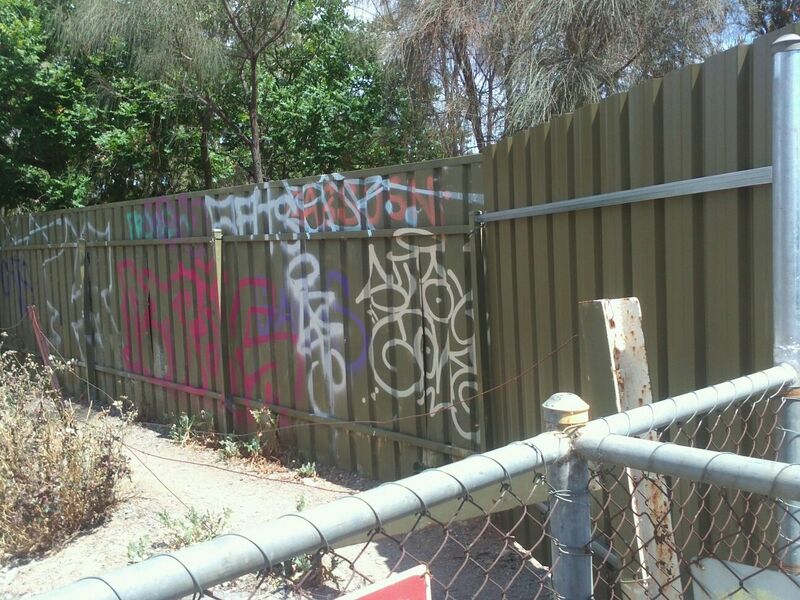 They have agreed that the area next to the bridge (over Goodwood Rd) is unsafe and they will raise the height of the fence and block off access to the walkway so it is more difficult for people to access (not resident's prepared option). My conversation with staff centred around just how little the additional walking distance was compared to the inconvenience and the temptation for people to consider crossing Goodwood Rd at grade level. I am still perplexed that they consider the shared path that connects Chelmsford Ave to Victoria St safe (because DPTI did it) but a distance from the track that is 3 times further is unsafe (because ARTC would need to do it). While I had their attention I broached the subject of graffiti in that general location: guess what? That is DPTI's problem! And guess what DPTI always claims it can't do the work because of ARTC over regulation. Want to know what is happening at Goodwood Oval? Why not check out the Goodwood Oval Reference Group website from time to time. For the minutes of the most recent meeting just click on the link. How good are Unley's Community Centres? o 95% of respondents rated the customer service and support they receive at our Centres as good or very good. o 93% of respondents rather our price/affordability as good or very good. o 81% said we offer a good or very good range of programs (11% were unable to comment, mostly as they only participate in one program). o 89% said we have a good or very good range of relevant information available (6% not able to comment). o 94% said our facilities are good or very good at meeting their needs. o 11 people indicated they would be interested in volunteering, another 6 indicated their interest in being involved in a community working group, and a further 8 want to share their skills by running a program or workshop. 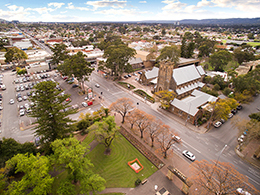 Council is considering rezoning Central Unley: Thomas St to Mary St and generally a block deep unless development is already beyond that point. Residents close by have received information in their letter boxes but it is time for everyone else to take an interest and tell us what you want. This is a direct response to the current state government's insistence that Unley find ways of being able to dramatically increase its population. We are seeking your feedback on the proposed directions for the Unley Central Precinct. Council’s vision for our city is that we be recognised for our “vibrant community spirit, quality lifestyle choices, diversity, business strength and innovative leadership”. 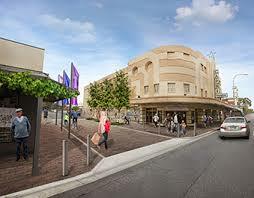 To help realise this vision, the City of Unley prepared the Unley Central Precinct Plan in 2014. The study explored the potential for higher and more dense building forms to achieve new commercial and residential developments in and around the District Centre. The Precinct Plan also identified opportunities to improve the public realm and the movement through the area to support this development. 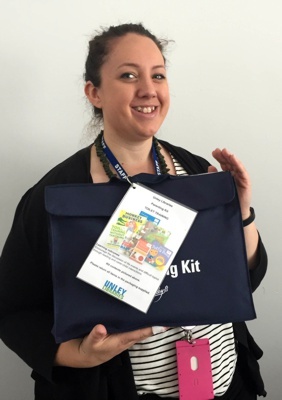 Our Youth and Children's team is excited to announce the launch of our new Parenting Kits! Each kit contains several adult non-fiction parenting books, information sheets, and related children's picture books on a specific parenting topic. Our first four kits have been released and are themed around Sleep, Toilet Training, Parenting through Separation and Divorce, and Sibling Rivalry. Each kit is designed to encourage the discussion of life events and difficult topics through reading and carer-child interactions. Council have more kits being produced on the topics of Grief and Food that will be available soon. 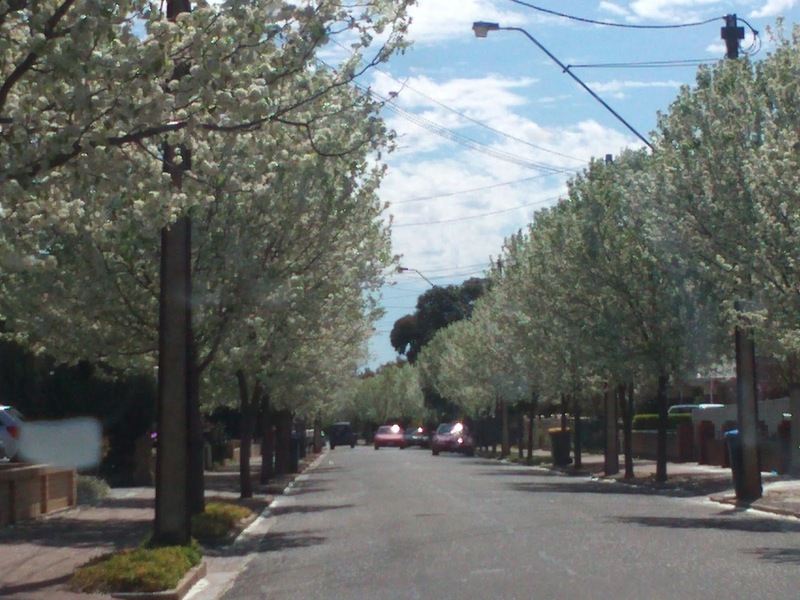 Adoption of Tree Strategy:regenerating Unley's Urban Forest: This will be discussed when the actions from the Infrastructure and Sustainability Committee are adopted. it makes for ver worthwhile reading. I am, concerned, however, that this committees agenda's seem to centre on sustainability and not on infrastructure. Clarence Park Community Centre Partnering and Management agreement 2015-18: this has taken well over a year of discussion and debate. 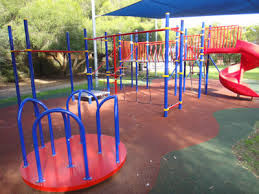 Unley refused to cover any activities of the Childcare that is offered and much valued at the Centre. The Childcare will be run entirely by the Board on management. Shared Street concept-Anderson Street, Fullarton: great concept for a street lacking in safety. the expense will be justified in the enormous lift to amenity for residents and increase in their safety. 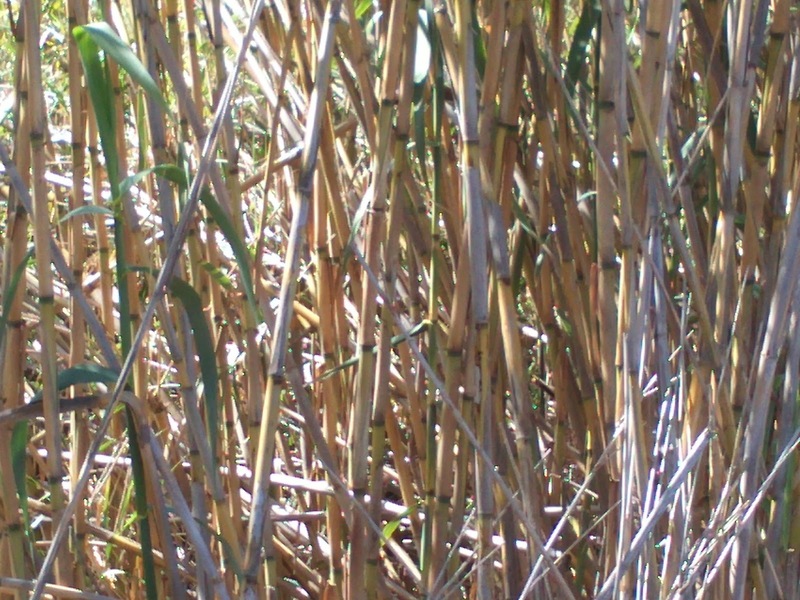 Conservation Grants: Once again these have been well received. If your house is heritage listed or in an Historic Conservation Zone (Most of Millswood) you might consider getting some help from Council to maintain your house or building. Building and Swimming Pool Inspection Policy Review: Changed legislation has forced changes to this policy. All roof trusses and swimming pools must be signed off by Council before they can be used. 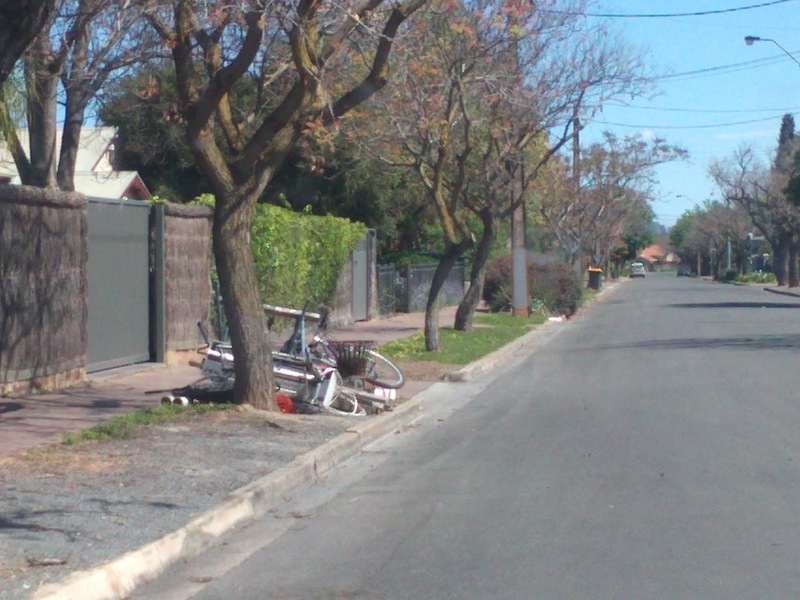 Pedestrian Standards and Shared Pathways: This is a motion from myself responding to the danger inherent in many pathways shared with cyclists as a direct response from residents. I met with Jane Lavender Baker and Ben Leske yesterday and was accompanied by John Gasper (resident). After starting from what seemed to be an intractable position I believe that we made some headway. There is clearly much inconsistency in the way in which the decision was made. Nevertheless, they agreed to check the title of the land to see if an easement had been granted (at anytime) over the pathway. They also agreed that this was not just an easy way to get to the train station but also a path used by residents to safely cross Goodwood Rd. We pointed out to them that what has been currently completed adds to the lack of safety for people who use the footbridge as areas are exposed where any individual could attempt to touch the train as it passed if they wished. So will we see change? Almost certainly yes, will we see the track reopened? The juries out. I have spent a lot of time this week on the phone trying to get someone to listen to residents views on the track closure. Kate Ellis' office apologised for giving me information that has proved to be wrong regarding reopening, even though it was the best available information at the time. However, ARTC staff have offered to meet with me late this week to walk the area and to do a further assessment of the issue. This may well be a step in the right direction. Unley has done a number of things as a response to the tragedy in Paris that unfolded yesterday. Last night the Town Hall was lit in red, white and blue as a mark of respect and French flags are flying at half mast today. A vigil is proposed for Tuesday evening at the Memorial Gardens at 6pm. I hope many of you will make the time to attend? The recent removal of a large tree in Ridge park has given a local artist an opportunity to showcase their work. Looks great! In the near future Council’s Arboricultural team is proposing to remove a number of street trees in Millswood Crescent. As part of Council’s street tree succession program a number of the Golden Rain Trees (Koelreutaria paniculata) have been identified as reaching the end of their Useful Life Expectancy (ULE). 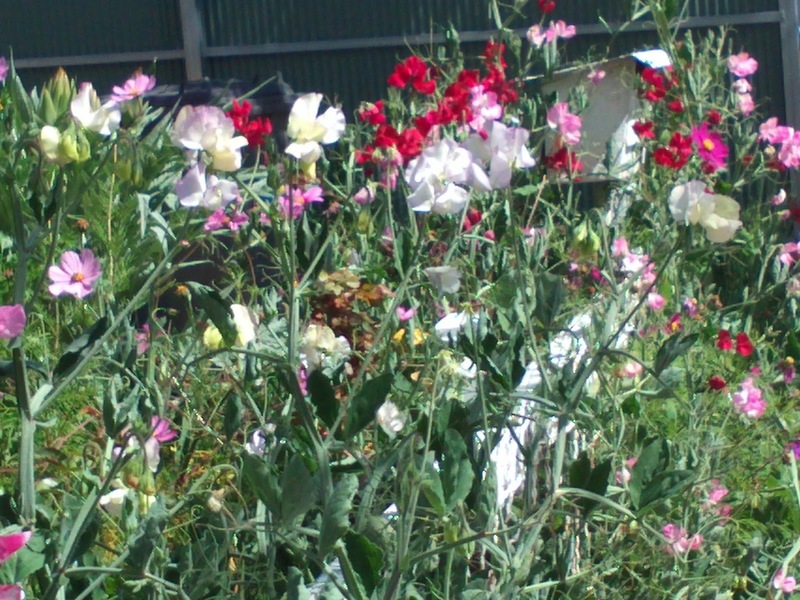 Council is planning to undertake removal over the coming summer months with replacements scheduled for the 2016 planting season (May to September). Trees identified for removal have a white spot of paint on the trunk base. 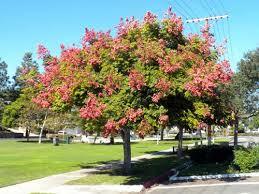 The replacement species selected for Millswood Crescent is the Chinese Flame Tree (Koelreutaria bipinnata). From the same genus as the Golden Rain Tree, Council finds the Chinese Flame Tree holds its foliage longer and hence provides more environmental benefit through shading and cooling. 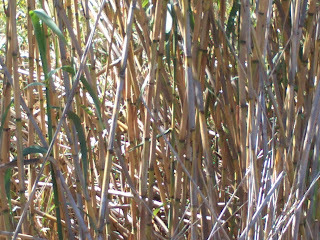 The two species of trees are almost identical in size, stature and growth habit. There are already some Chinese Flame Trees that have been used previously as replacements in Millswood Crescent (examples at #s 5, 31 & 47 Millswood Crescent). The AGM is to be held at 6pm on the 23rd November. This service seems to have had some ups and downs this year with a complete change of Board members earlier this year. It is my understanding that the selection of this Board will be confirmed (or not) at this meeting. There is always an opportunity for others to get involved if they wish. Last Thursday, at a Special meeting of the Development Assessment Panel, the proposed tower was refused. As the development was non-complying the applicant has to appeal rights. It also means that Council will not have to proceed to a lease of the land and the consultation on this is no longer necessary. As I am a member of the DAP I will not make further comment other than to say that all members were in agreeance of the decision. Active Unley is a key action of the Sport & Recreation Plan 2015-2020, aimed at promoting physical activity and encouraging the community to lead healthy lifestyles. It was recently featured on a channel 10 weather segment (filmed at the Swimming Centre) and is also mentioned in this week’s Messenger newspaper. partnering with over 25 organisations to offer free activities to our community from November to June, from yoga and pilates, to lawn bowls and flamenco! 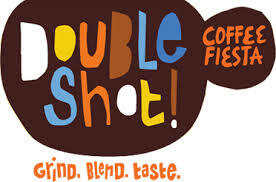 It will be officially launched at the Ignite Unley event at Unley Oval on Friday 20th November. Council is undertaking a minor community engagement on the upgrade of the playhouse, softfall and installation of shade at Dora Gild Playground, Clarence Park, to seek feedback on how we spend the budget allocation of $30K. It closes on 25 November. to find out what minor changes people who use the park would like to see. 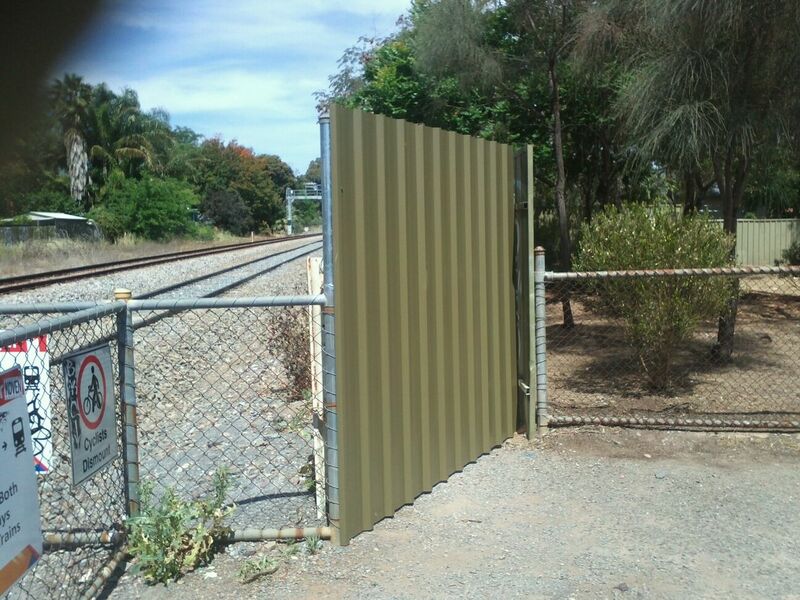 The so called dog track that runs along the railway line between Millswood Cres/ Arundel Ave and Millswood Station was closed today. There was no consultation, no public meetings, no letter box drops, nothing. The job done is of poor quality and access to the path is still available from the train line itself. So much for safety! It is true that the track was in poor condition and unsafe, but what we have now is less safe. The reality is that people will not want to work the extra distance. It is also true that the timing is appalling, shows us all just how well all levels of government are working together. And don't believe their lies that Unley Council agreed to it, they didn't. Naming the lane between Millswood Cres and the Cromer Pde; The Council proposes to name the lane Sasmee Lane. This name was suggested by SASMEE as many people find the model railway difficult to find. The government announced last week that Millswood station would remain open permanently. Thousand of people have used the station in the last year and the government are happy with the outcome. Congratulations to all who were involved in this effort, a job well done. Now will come calls for the other stations along the Belair line to also be reopened, just glad we got in first! The following updates you might find interesting? Do we start looking at the problems in Byron Rd? You may recall that the Black Forest Local Area Traffic Management Plan made a number of recommendations for Byron Rd. These were deferred while we waited to see what the state government was going to do with South Rd. It seems this may never happen or is many years away. If we can get funding Council may once again look at the roundabout option and/or the options of raising or removing the speed restriction devices. Safety when sharing a path with cyclists and pedestrians (now even more important as cyclists will also be allowed to share the footpaths). When I was little pedestrians always walked so they faced the traffic and could see what was coming, this tradition seems to have been lost and often the shared pathways are seen as unsafe by pedestrians. We are discussing a way forward. The LG has strayed a campaign to keep planning in the hands of local government. Thought you would find this interesting. Your comments sure welcome, should we let it go or fight to keep planning powers for the things that matter? With an integral role in the State’s current Planning and Development processes, Councils know that South Australia deserves a better planning system. But the State Government has progressed reforms that remove many local roles which Councils believe will leave communities high and dry - with no voice and no choice about issues which affect them. We need a more accessible, integrated and accountable system, one which supports jobs through appropriate development and gives developers and the community more certainty about outcomes. However this does not need to be at the expense of local input. A charter which outlines opportunities for community engagement is a great idea, but not if there are less opportunities for participation. A public survey backs these views. The LGA is working to finalise a comprehensive submission to the Minister/Parliament after assessing extensive consultation with Councils and the public survey information. It will be available here soon. Click here for more on this campaign. the prime of your life. PLEC Update: what's happening on Goodwood Rd? 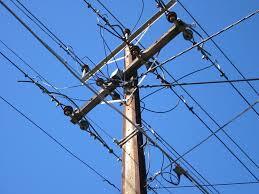 Here's where Council and PLEC are up to on the undergrounding of powerlines in Goodwood Rd. 2015 marks our 4th year of running this event – Unley Libraries Festival - Learn it. Live it. Love it. Our focus is on health and wellbeing with a program that will get people active indoors & outdoors & trying something new. The festival will run from Friday 6th – Sunday 8th November and take place across several venues, the Unley Library, Town Hall and Village Green. · Gentleman’s Guide to Cool with author Paul Giles. A workshop to help young men improve their self-esteem and presentation skills to bring excellence to everything they do. · Evening outdoor family picnic and movie screening of the Dreamworks feature Home. · Playspace – outdoor pop-up library and adventure playground, designed to get people away from technology screens and active outdoors. · Wellness Expo with a variety of external organisations showcasing what they can offer, from SA Dog Rescue with adoption ready dogs to neck and shoulder massages. If you are interested you can attend a public meeting convened by the Community Alliance on Wednesday 21st October, 7pm, at the Burnside Town Hall. Click here to download the flyer for more information. The Small Sponsorship and Donations Scheme assists eligible organisations and individuals with projects, programs or activities that benefit the residents of the City of Unley. Donations of up to $250 are available to City of Unley residents to participate in specific cultural, sporting, or recreational activities and events at state, national or international level. Only one application will be considered each financial year. Applications will be accepted throughout the year and processed as they are received. For further information, please phone 8372 5108. The next round of grant funding closes at 5pm on Wednesday, 30 September 2015. Through our Community Grants Program, the City of Unley provide opportunities for individuals*, community groups and organisations to improve the wellbeing, quality of life, community participation and life skills of residents in the Unley community. Grants of up to $4,000 are available for innovative community projects and/or programs in the categories of recreation, art and culture, community, community health and wellbeing and environment. * Individuals must be working on a project in collaboration with an auspice (either a local community group or organisation) to handle any funding received from the grant. Further information can be obtained from the guidelines and application form or by contacting Matthew Ives on 8372 5134 or Pam Hocking on phone 8372 5108. 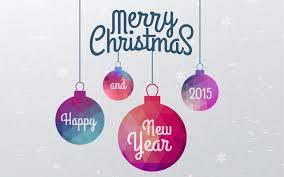 Funding for projects/programs that begin prior to December 2015 are not eligible and will not be funded. Last's night's meeting wasn't quite the marathon that the first debate on Brown Hill creek was but still went for well over 2 hours. It took 3 well debated motions before one was passed. The first and the original motion as recommended by staff gained only one vote (Option D-widening). The second, which supported Option B2 (dam) lost 4 to 5. The final motion was in effect an amendment to Option D in that it included a lot of conditions under which Option D would be acceptable. None of these conditions would have been necessary if a dam was to be constructed. However, given that the other 4 Councils had already voted to support Option D the chance of a dam ever being constructed was already at zero. This was passed 5 to 4. Cr Hewitson spoke against and voted against all 3 motions as he believed that none provided the necessary harvesting of water. 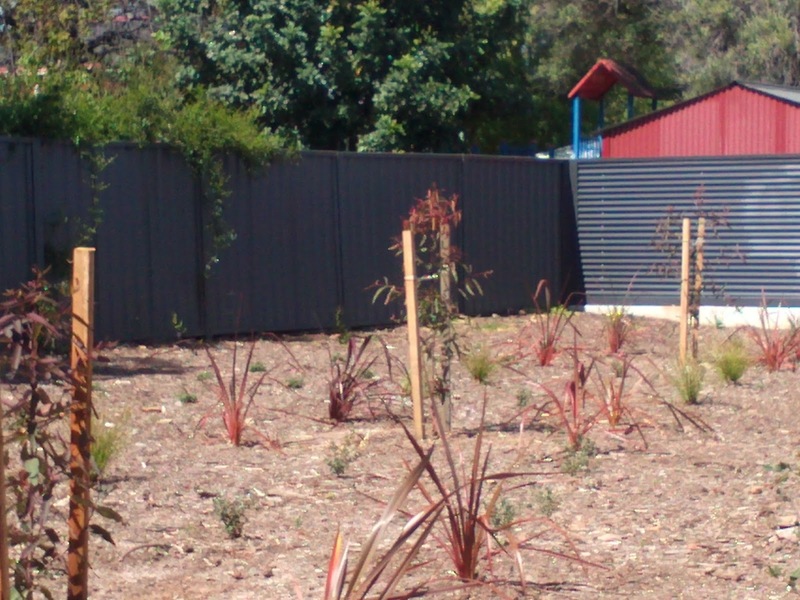 This means that Unley has now agreed with the other Councils and the Stormwater management Authority will now be able to direct Councils to proceed with more detailed design and scheduling and funding options for the work to begin. There won't be a rush though as I don't foresee even the essential clearing starting anytime soon. Tonight, the 29th of September Council will again debate Brown Hill Creek upgrades: the likely outcome is that the matter will again not result in a decision as it is unlikely that any of those present will have changed their minds. It is disappointing that the agenda has not given a balanced argument between Option D and option B2 but rather chosen to try to convince us that Option D is preferable and why this is so? The agenda has some fundamental inaccuracies that is also disappointing. Win or lose we should be debating on the facts! Work that needs to be prioritised is still the clearing of the creek, and this can't wait for further argument and debate. Tour to Pozieres; Lachlan is still keen on leading this tour. From my chats with people none have supported the idea. As such I will not be voting for the tour, if it goes ahead, to be funded by Council. PASSED with a $6,500 cap. A Mother's Milk; Councillors remain concerned that the build out that was approved by Council has still not been built and that Council continues to bear half of the costs of the water filled protective bollards. Family business is the dominant form of business. Its reach extends from the local corner store to some of the world’s largest companies such as Walmart and arguably News Corp. The media often talks about the massive intergenerational shift of wealth that will take place in the coming decade or so as baby boomers retire from their family businesses, but how easy will the transition be? Michael is a Fellow of the Institute of Chartered Accountants and recently a retired partner of Price Waterhouse Coopers. Michael’s professional career spans nearly 40 years. Michael is now pursuing his interest in family business through ongoing research into family business particularly the business model characteristics of family business. In addition, Michael also acts as a business mentor and coach to locally owned and operated businesses. TIME: 7am for a 7.15am start .Concludes at 8.30am. Free workshops & events from 1-16 October. Bring your friends, parents, grandchildren and grandparents, everyone is welcome! 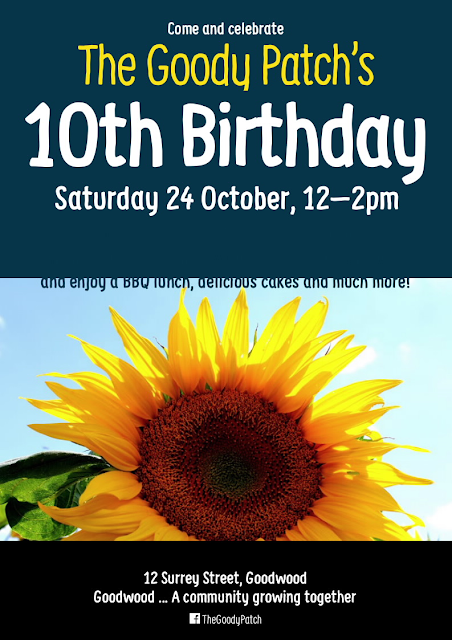 Each year the City of Unley participates in the every generation festival by hosting a variety of activities that bring together the community in a celebration of life. Our theme in 2015 is ‘share what you know and watch it grow’ which aims to bring people of all ages together to share their skills. Bookings are required for all workshops and places are limited. Please note that all children under 12 years must be accompanied by a parent/guardian, please consider the suitability of the activity for your child’s age. Download the full Program of Events. People feel like spring cleaning. Just remember to book a time for a collection before you start. that can grow to significance.